Thanks for kicking off OIVAC’s annual VA blog hopping and podcast tour. 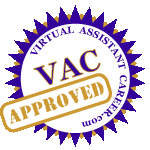 Over the next 30 days, Sharon Williams, OIVAC Chairperson, will travel the blogosphere responding to questions about the VA industry and how virtual assistants can become a “value-add” benefit for potential clients. She will also discuss the upcoming VA convention (May 20-22) and the benefits of attending. Feel free to add comments or additional questions. Sharon will come back and respond. Okay Tawnya, let’s begin. What’s your first question? 1. Is the downturn in the economy affecting the VA industry? Yes! The downturn has had positive and negative effects. I’m sure VAs without a written business plan and concise marketing strategy are experiencing difficulty, because they haven’t “planned” for situations such as client loss or slowdown. Additionally, many entrepreneurs are “price shopping” resulting in “cheap” being the major determining factor when choosing a virtual assistant, instead of “value-add” which takes into consideration an individual’s knowledge, skills, experience and abilities. Secondly, many VAs are “discounting” their services, in the belief this will attract and retain customers. However, they fail to realize that by under pricing services they are actually digging a deeper hole for themselves, because they aren’t making enough income to support their household/lifestyles. When the economy takes an upswing, it will be very difficult to raise their prices proportionately for a low paying client. On the other hand, VAs with foresight, flexibility, a targeted customer base, sensible marketing plan, and appreciable skills, will continue, at a minimum, to sustain their business and in many instances increase profits. Why? Savvy business owners are looking for ways to reduce costs, develop alternative resources, and continue providing valuable-add services to their clients, and VAs (if positioned properly) can fulfill these demands. Evaluate the situation, conduct research and identify services clients are seeking. Confer with current clients, to identify new responsibilities you can assume. Become efficient (even an expert) in sought-after skills. Develop a marketing strategy for your new target audience, to pull those customers into your business funnel. Become a valuable asset to the client. The state of the economy will not matter if the VA possess marketable skills, knows what their ideal client wants, and positions themselves as the value-add; a viable contributing member of the team. 2. Some VAs tell me I’m not a VA because I offer additional services over and beyond my administration skills, i.e. marketing, blog maintenance, shopping cart, etc. Am I not a VA? Absolutely! Tell the naysayers to step into the 21st century and smell the roses. Seriously, the Internet and new technologies has allowed (even forced) VAs to expand their skill sets, knowledge and training, to offer services entrepreneurs are requesting. Years ago (and even now in some circles), a virtual assistant (in the purest form) was identified as a person solely providing administrative-related services. However, during the industry’s 15 year evolution, we have witnessed the launch of many innovative technologies, resources, etc., and admins (even those in corporate settings) have to adapt to the times and stay abreast of the latest and greatest. Even traditional corporate admins are responsible for company blogs, marketing campaigns, websites, etc. If a person wants to be a purist, fine! But don’t berate VAs that see beyond the horizon and understand the times and work environments change; and are willing to change with them. So yes, you are a Virtual Assistant – working virtually, providing support services from a remote location or your home office. 3. Is social networking changing the way VAs find clients? Yes it is. Dating back many years (I don’t want to tell my age), an efficient way to reach clients was the traditional “Yellow Pages” or by “word of mouth”. Now “word of mouth” still works, but online social networking is a good communication tool that has opened many doors, and allows VAs to reach a larger audience, in an informal setting. VAs have opportunities to regularly initiate conversation amongst peers and potential clients, showcase their authentic self, establish and promote their brand, and monitor and control the dialogue. However, a downside could be that VAs are “hiding” behind the social networking craze and aren’t attending local events or meet-ups. They may soon forget the concept of “meet and greet” and holding longer than 140 character or two-paragraph conversations. So, ever so often, attend a local networking activity, where you can hone your pitch and “press the flesh”. While social networking is the newest way to make a connection, next year a new craze may begin, and social networking will become an afterthought. You must stay prepared. Do you remember 8-track tapes or 3.5 inch disks? 4. Why should VAs attend conferences in our industry? I am asked this question often, and my standard reply is, “it’s all relative”. What I mean is, if you want to stay abreast of new technologies, services, niches, and trends, (and network with peers), you should invest in your business. Attending industry events offer great opportunities to achieve these goals. Participants are able to associate a name, a voice, an experience – with their counterparts, and develop long-term relationships and even joint venture partnerships from the formal and informal interaction. Finally, based on your individual budget, attending conferences (and OIVAC) allows you to explore subjects that perked your interest or reinforce your knowledge and skills. I highly recommend that VAs participate in industry events – to learn more about our industry, its evolution and trends that can put more dollars in your pockets. Well, that’s all for today. I hope these responses are helpful and look forward to all of you joining me in the Land of Oz, when we visit Ms. Lyn Prowse-Bishop at Executive Stress Office Support tomorrow. Sharon Williams is President of The 24 Hour Secretary and Chair of OIVAC. Don’t forget to stop by OIVAC and check our lineup of savvy business owners. Visit the schedule and register for the Technology or Business/Marketing Tracks designed to propel your business to its next plateau. This is a wonderful article. I come across many Virtual Assistants who on use two-thirds of their capabilities while providing their services. 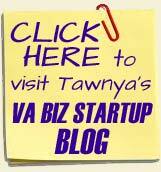 Business who use VA’s typically look for assistance in work including emails, data entry, and other various admin tasks. 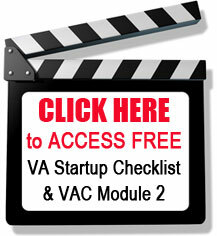 It is up to the VA to sell themselves, offer their “value added” skills and traits to their clients. When you mentioned the 8 tracks and 3.5 disks it reminded me that even VA’s need to keep updating their skills as well! Sharon has made a really good point about keeping up with the times. Last week I attended an event for administrative professionals (not specifically virtual assistants) and they identified website design and social networking as important skills to have. VAs who restrict themselves to traditional admin support may be missing out on some great opportunities! I’m glad you enjoyed the stop, Heather. Yes, we need to continuously update our skills, and that’s one of the reasons host the annual convention — to make sure VAs are aware of the newest in technology and best business practices — in addition to celebrating our industry and what we have achieved. We all need to stay abreast of what clients are asking for. Of course, that doesn’t mean we have to learn all the new technologies/processes. An alternative is to refer requests for these services to another VA, or form partnering relationships (where you create joint marketing programs — one person handling admin-related responsibilities and the other web-based technology requests). Both can continue working the areas they enjoy and do best — and retain clients and possibly grow their base. These are great times to “think outside the box” and create innovative partnerships with VA seat buddies.